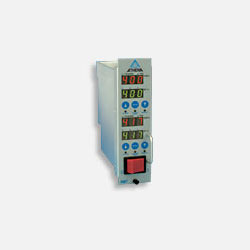 We are a leading Exporter of digital rmb series, series rmt thyristor controllers and series rmc from New Delhi, India. 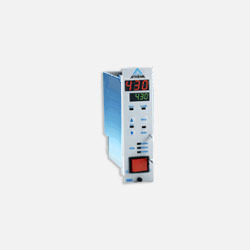 The Athena Series RMT is a microprocessor-based, dual-zone temperature controller specifically designed for runnerless molding applications effectively doubling the zone count per module without doubling the price. 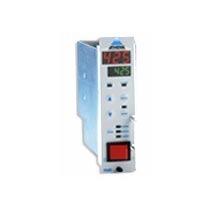 It features two easy-to-use operator keypads, four LED displays, and discrete indicators for heat output, alarm, degree F/C indication, manual and closed loop mode. The Athena Series RMC brings new and highly productive benefits to injection molders looking for a modular hot runner controller that’s flexible, easy to set up, and simple to operate. Using the popular Modbus® communications protocol, the Series RMC gives users the ability to set or change all zones, either remotely from a desktop computer, or (with the ALL command) from any other individual RMC module in the mainframe. Looking for RMB Series ?